Hey, campers! Who wants to roast a marshmallow and eat a s’more? 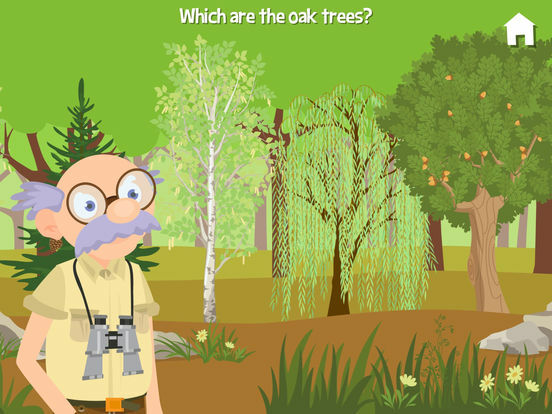 Grab a stick and join Grandpa on a hiking and camping adventure you’ll never forget! Choose a trail, read a compass, spot some wildlife, identify animal tracks, earn wilderness patches, play tent games, and watch videos about real-life outdoor experiences. Don’t forget to douse the campfire before you leave! Designed for ages 6-8. Kids love Camping With Grandpa because they get to roast marshmallows, play games, and douse a campfire with their favorite fun-loving Grandpa. 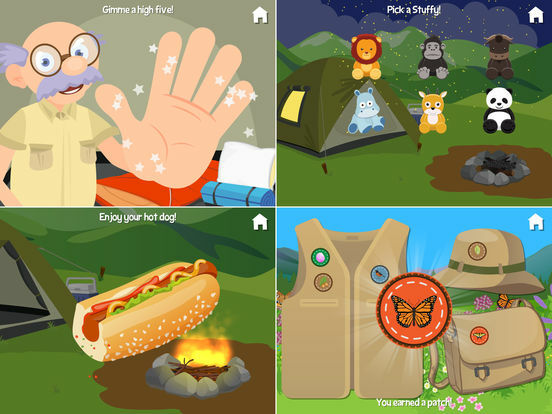 Parents and teachers love Camping With Grandpa because it teaches kids about wildlife, trail safety, eco-awareness, orienteering, and camping vocabulary. 1. Hiking Gear - Which items should we take on our hike? 2. 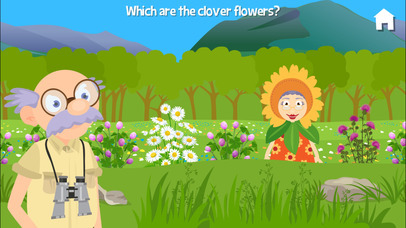 Read a Compass - Which direction should we go to the Flower Valley Trail? 3. Take a Hike - Can you spot all the white birch trees? 4. 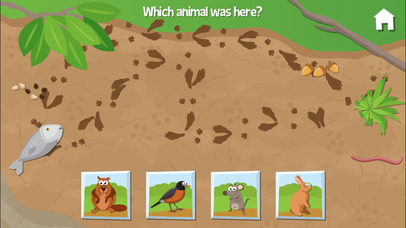 Animal Foods - Can you help these animals get to the foods they eat? 5. Animal Tracks - Hmm, which animal made these tracks? 6. Tent Shadows - Which pocket knife makes this shadow? 7. 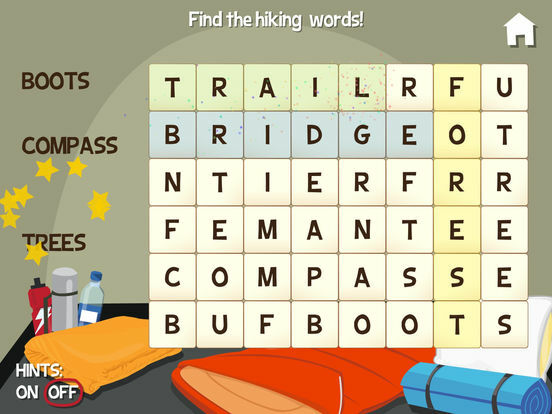 Word Find - Can you find all the forest words? 2. Roast a marshmallow and a hot dog! 3. Eat a s’more and a hot dog! 5. Give Grandpa a high five! 6. Pick a stuffy to sleep with! Plus, watch fascinating videos about survival, camping, hiking, and wildlife, all narrated by Grandpa himself. 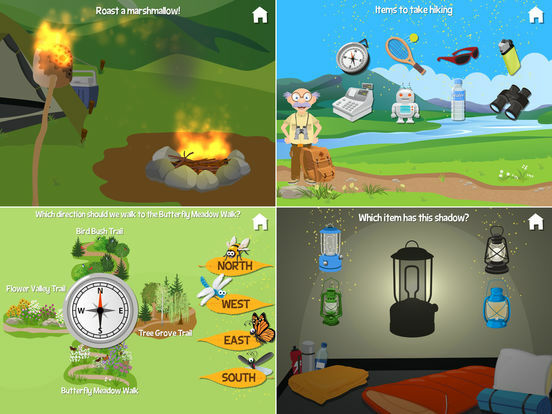 Outdoor and survival skills: map reading, compass reading, trail safety, emergency preparedness, fire safety, animal characteristics (food, tracks, habitat), hiking and camping equipment. Butterflies: tiger swallowtail, monarch, red admiral, common buckeye. Trees: hickory, oak, pine, birch, maple, redwood, willow. Birds: robin, woodpecker, cardinal, blue jay. Flowers: daisy, clover, thistle, black-eyed Susan. Vocabulary: lantern, s’more, bridge, compass, ridge, stream, valley, mountain, binoculars, kindling, ripples, acorn, pinecone, pocket knife, hatchet, and more. Grandma and Grandpa apps are apps you can feel good about giving to your kids. They are educational beyond the school curriculum - they also teach life skills in real-world contexts. Minor updates. 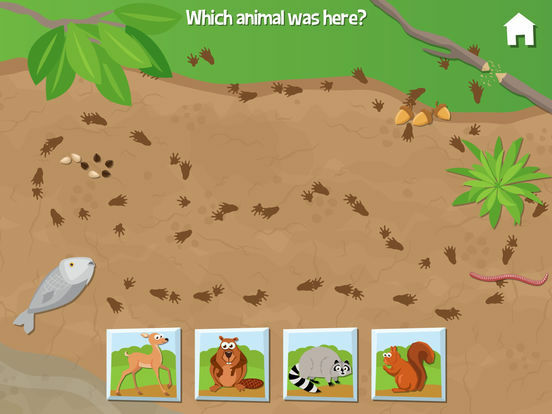 Have you tried our latest Grandma and Grandpa app, At the Zoo with Grandma and Grandpa?